Lovely brick rancher on a cul-de-sac lot in sought after Oak Forest community. Beautifully renovated and with tons of light! Large sunroom right off the new kitchen. All bedrooms are on the main level with hardwood floors throughout. Additional finished den in the basement, along with a workshop area that sits beside garage. Large yard is partially fenced. 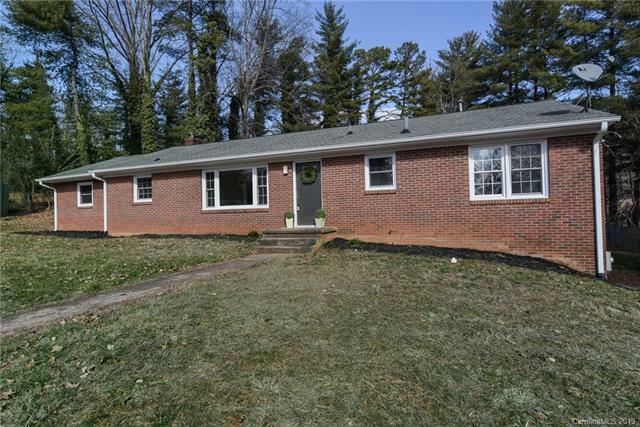 Lovely neighborhood and just minutes away from dining, shopping, and Biltmore Park. Fifteen minutes to downtown Asheville and ten minutes to Biltmore.